Ashe County North Carolina is a small, comfortable community perfect for raising a family or for someone looking for an easy, relaxed pace of life. Close to many exciting attractions and fun things to do, Ashe County NC is an ideal mountain paradise. If you are looking for Ashe County NC Real Estate, West Jefferson NC Homes, or Real Estate West Jefferson, A1 Mountain Realty can help meet your needs. Your transition to Ashe County North Carolina will be seamless. Ashe County sits at over 2,900 feet above sea level in the Blue Ridge Mountains. 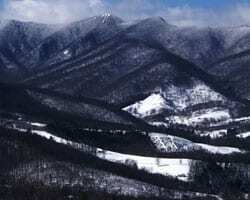 With four distinct seasons, Ashe County North Carolina winters are relatively mild and receive a moderate amount of snowfall each year. Summers are also mild, with average temperatures in the low 70s. The weather in Ashe County is inviting and suitable for everyone! Summers are just warm enough and winters are never too frigid. The Ashe County NC Realtors at A1 Mountain Realty can help you find a summer retreat or a winter hideaway. Ashe County North Carolina is home to an excellent school system. A small community, Ashe County has three elementary schools, a middle school and a high school. Small class sizes and dedicated teaching professionals make Ashe County Schools NC ideal for anyone. Ashe County NC has a number of very skilled and practiced medical offices. 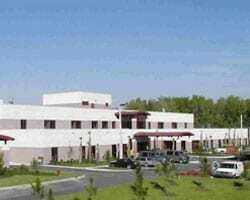 Located in Ashe County North Carolina, Ashe Memorial Hospital is a Critical Access Hospital that is fully accredited by the Joint Commission on Accreditation of Healthcare Organizations. Ashe Memorial Hospital operates Seagraves Care Center, a 60-bed skilled nursing home as well as the Wilma Vannoy Birthing Center, an after-hours clinic, and a 24-hour emergency department. No matter what your healthcare needs while living in beautiful Ashe County, you and your loved ones will be well cared for. A1 Mountain Realty offers homes and land listing all over Ashe County. With experienced and dedicated Ashe County NC Realtors finding your very own Home for Sale in Ashe County NC, Real Estate Jefferson NC, or home in West Jefferson North Carolina will be a great experience with our West Jefferson NC Real Estate Agents. A1 Mountain Realty will stop at nothing to make sure your Ashe County NC Realty experience is a great one!